I know you’re not supposed to covet they neighbor’s stuff and whatnot, but compared to our monstrous two-family, the cute dutch colonial next door has always seemed downright adorable. And now it’s for sale! Won’t you be my neighbor? 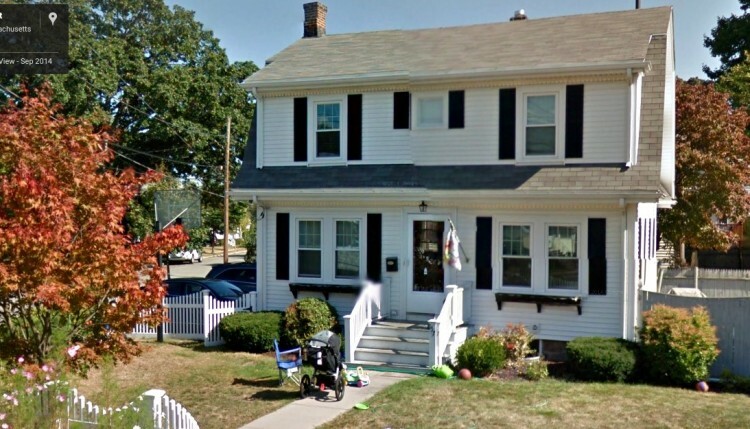 It’s cheerful inside this 1930s Dutch Colonial. Sure, it’s not a million-dollar Milton mansion or anything. But Redfin pegs our neighbor’s place as a ‘hot’ listing — likely to be gone in two weeks or less — and with good reason. Even an adequate house in this neighborhood will get snatched up fast, sometimes even before it hits the MLS. 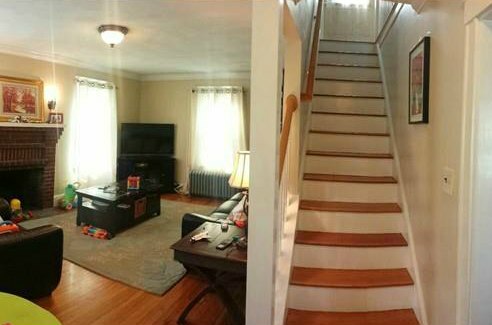 The photos don’t do this place justice, but they don’t even need to in this market. A fireplace or wood stove (or some kind of productive excuse to set things on fire) is a must-have in my book. The key here is the location — the same reason we stuck it out for close to a year trying (and so often failing) to land a house in just this square mile or so of Quincy. It’s just a 10-minute walk to the ocean — you can smell the sea from the house some mornings. And it’s a 10- to 15-minute walk to the Red Line — you can hear the faint lumbering of subway cars well into the night. 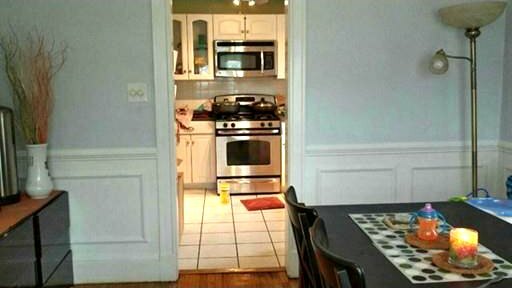 Modern kitchen (check), hardwood floors (check), and handsome panel molding (check). What’s more, it’s just two blocks from one of the best elementary schools in the city. Kids still walk to school here each morning, in droves, like it’s the Wonder Years. It’s heartwarming as hell, to be honest, and a great place for kids. We’ll miss our neighbors dearly — they’re wonderful folks, but sadly moving out of state. 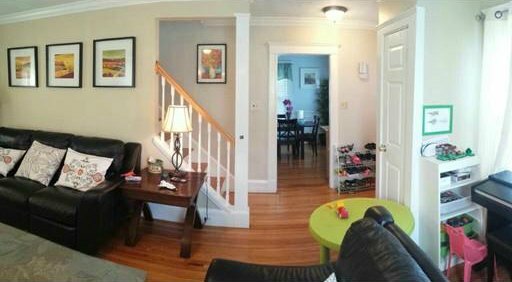 So if you know anyone super nice and awesome who’s looking for a house, send them our way! Plus: Blocks from the ocean, great neighbors. Minus: Busy street, and on the small side. Address: 157 Fenno St., Quincy, Mass. Verdict: I can tell you the current owners are wonderful people, and have taken very good care of the place over the past few years. It’s on the small side for some people — that’s Quincy for you — but you won’t do much better at this price in this location. And you’ll have awesome neighbors to boot! Update: This place sold in a couple of days, before they even put a sign up. My neighbor said it was an all-cash offer. So I’m looking forward to meeting our new drug cartel kingpin neighbors!